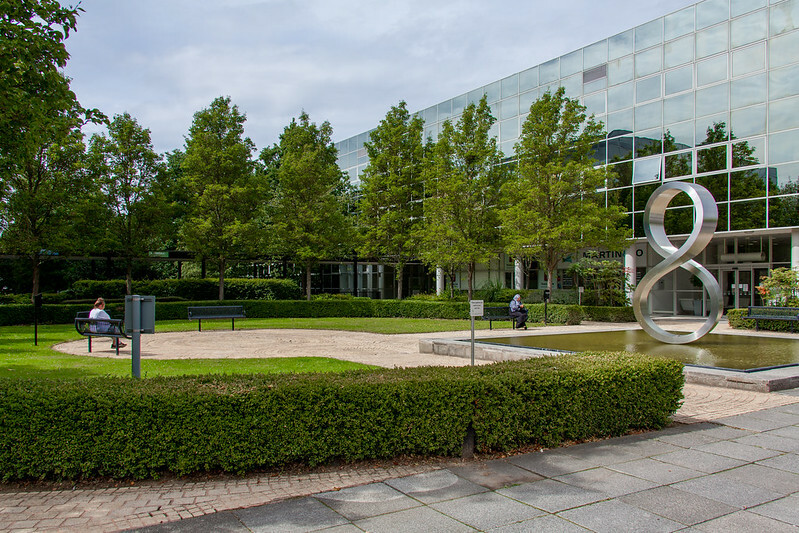 The strength of Milton Keynes (MK) was the quality and innovation of its housing neighbourhoods and city parklands established in the early days of the city development. Recognised globally, this is a model that England could learn from as we enter a period of large-scale house building. MK was masterplanned to allow easy access for all residents to green space, public art, walkable local centres and other facilities. This has maximised the potential for high levels of community involvement and cohesion across MK. Examples include the. MK Forum, Fred Roche Foundation, MK Interpretation Centre at Bradwell, MK community foundation. MK has grown around 13 existing villages. Growth of the city has ensured that the unique character of each village has been retained through appropriate buffers and the nearest adjacent development respecting the character of the village. There is also priority placed on each new development having its own design character. MK demonstrates particular innovation in smart technology. It has the most comprehensive network of electric vehicle charging infrastructure in the country and a fully electric bus service with fast charging induction plates. It is also working with manufacturers on the development of autonomous cars and a crowd sourcing website to develop ideas for smart city projects. MK has consistently recognised that to accommodate growth and get community support for it requires investment in infrastructure first; a relevant lesson at a time where rapid investment in housing means that their development often comes first. Milton Keynes is unique, a bold urban design experiment in creating a new town for the future as perceived 50 years ago. That gives Milton Keynes an interesting legacy, some best practice that has influenced urban development around the globe and some particular challenges in planning for its future growth and sustainability. The city was developed by a development corporation but it is now developed and managed by a local authority with the constraints and statutory requirements that brings. The city has developed a new vision for the future of Milton Keynes through the MK Futures 2050 Commission, established in September 2015 as an independent body to take a long-term view of the city’s future. The Commission published ‘Making a Great City Greater’ in 2016, which includes a vision for the city in 2050, based on a population of around 400,000 – a doubling of its original planned size. There are close working relationships with adjacent authorities, which are particularly important given the likely cross-boundary nature of future growth and key to the commercial prosperity of MK. Milton Keynes Council is currently working with neighbours to prepare a memorandum of understanding around future housing growth, for example, and is developing options for a wider, more formal governance arrangement across the area. The city was designed on a grid design built around 13 existing villages and the location of new development has respected the historic character of these villages. The grid design created a patchwork of places and communities that are both contained and inter-connected and is central to how MK works as a place. Successful cities are organic and grow incrementally. The 70,000 population in towns and villages that predated the city have been critical in providing character. But effectively the majority of residents are pioneers who choose to live in MK. The city has a strong community spirit. And community cohesion is, in part, because of the grid design. The strength of the original Milton Keynes design, and at the heart of the vision of the grid, was the quality and innovation of its housing neighbourhoods and city parklands. These have stood the test of time and the new housing in MK refreshes that good practice. The council also ensures that in new growth areas, the principle of linear parks is extended, an approach supported by the Parks Trust who are responsible for the long-term maintenance of the strategic greenspace in the city through its innovative funding arrangement. There are also projects using community gardens to help tackle local social issues in some communities. It is the network of open spaces that feature highly in resident satisfaction. The management of much of this space by the Parks Trust has ensured it has been able to be maintained to a very high level. The Parks Trust also hosts an extensive range of events throughout the year. The network of green pedestrian and cycling routes that join up communities and link with the city centre were developed totally separate from the road network. In its day that was very progressive thinking and makes for a very walkable and cycle-friendly city with 270km of what are termed locally as Redways. If you live in the city you are always close to the centre while at the same time living in a clearly defined community. The downside is that the original city design has also left a legacy of wide (and now under-used) roads and large areas of surface level parking in the city centre. The separate use zones and surface car parking limit the diversity and intensity of street life in the centre. It creates an ongoing challenge for a city committed to public transport, cycling and the creation of a vibrant city centre. MK recognises it also has some challenges to update and refresh two large public spaces – the square in front of the rail station and the bus station beside the shopping centre. The original designs of these spaces have not stood the test of time and now need rethinking. Both show how the infrastructure-first approach can suffer when the future evolves in ways different to those anticipated. There is a strong culture of innovation in smart city technology. The council is at the forefront of new transport technology, looking at a variety of sustainable ways of moving people around the city and the use of low carbon mobility infrastructure. This is essential – MK was built around use of the car and the grid system will not accommodate the increase in traffic associated with growth requirements. MK has the largest fleet of bikes to rent outside of London and the council is working with partners to explore opportunities for innovative mobility solutions including electric cars and autonomous and connected vehicles. For example, MK has the most comprehensive network of electric vehicle charging infrastructure in the country and a fully electric bus service, with fast charging induction plates at either end of the route that top the battery up throughout the day without having to return to the depot. Whilst MK grew by integrating and maintaining the character of existing communities, the great challenge now will be how to accommodate growth whilst retaining its unique character. With a doubling of population, the city will have to change and adapt to accommodate growth in a sustainable way and some of the original principles regarding density and grid structure will be challenged. This is seen as an urban design opportunity but will need the same vision and placemaking that has underpinned its first 50 years of development. MK continues to be a ‘work in progress’.